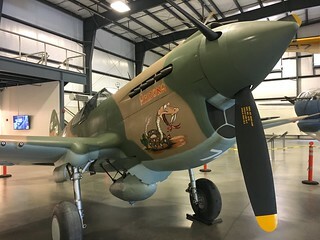 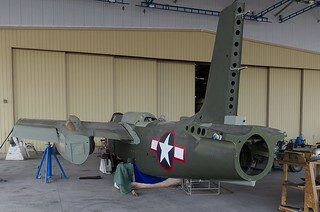 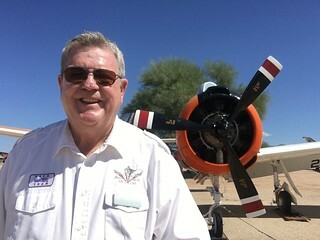 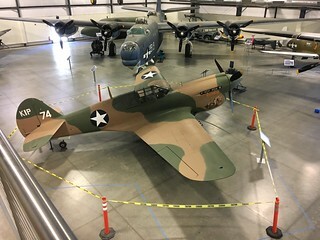 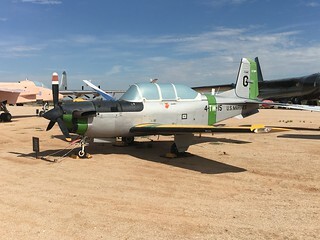 PASM recently added two new outdoor exhibits, a Beechcraft T-34 Mentor and a Curtiss P-40 Warhawk. 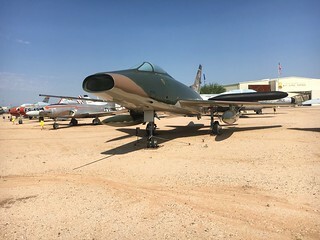 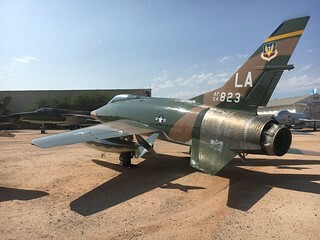 In addition, our North American F-100 Super Sabre has been refurbished with new paint and markings. 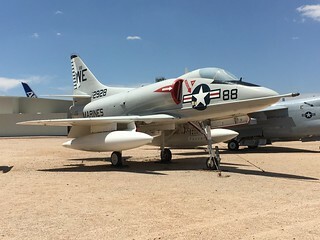 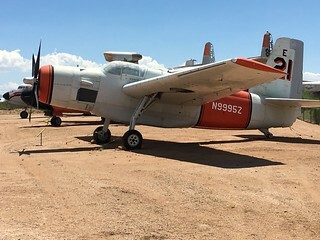 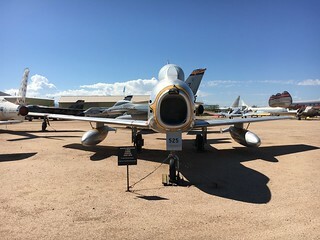 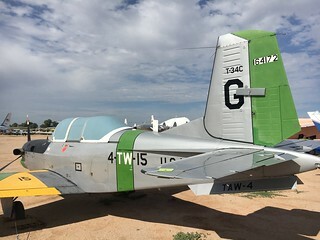 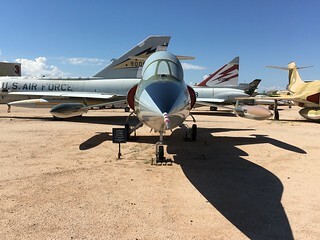 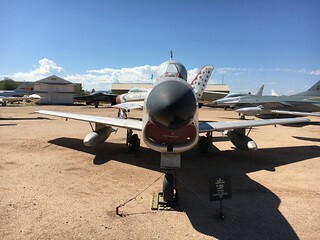 After Arizona Senator John McCain died I took a fresh photo of PASM’s A4D Skyhawk, an aircraft type he flew in his Navy days. 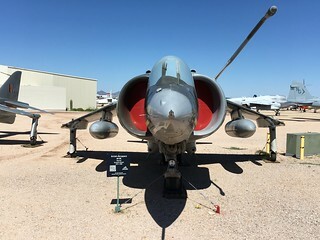 In July 1967 he was in the cockpit of a similar Skyhawk on the deck of the USS Forrestal when a disastrous fire broke out, killing 134 sailors and injuring another 161; three months later another Skyhawk was shot out from under him over Hanoi, resulting in his capture and 5 1/2-year imprisonment by the North Vietnamese. 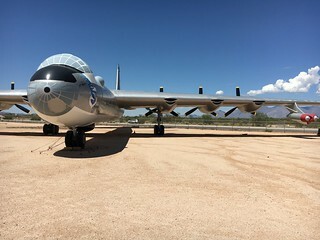 Next to it is a fresh photo of PASM’s AF-2S Guardian, a singularly ugly airplane that always reminds me of the Phoenix in the original Flight of the Phoenix movie. 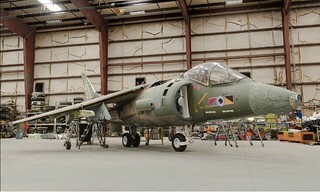 Below that is a recent photo of the restoration hangar, and below that two photos of projects underway inside, taken by a PASM staff member and friend, John Bezosky, Jr.
All photos mine except the last two, and as always, if you click on the images you’ll be able to see the full-sized originals on Flickr.